Halloween always seems like the perfect time to just up and do something scary! Maybe you’re ready to give yourself over the vampires, to transform into a werewolf, or at least to test out your witchy side! Of course, you could also give yourself a whole new hairdo; that can be plenty terrifying! 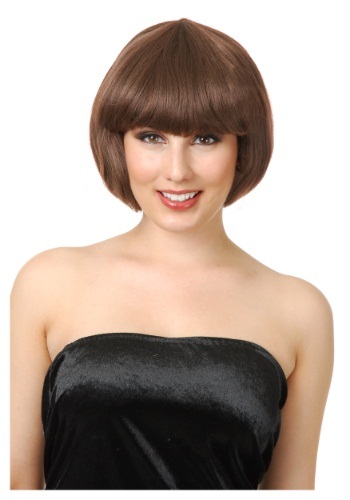 If you are not ready, however, to make a permanent change, this Brown Bob Wig can give you a sassy new ‘do in no time! You can surprise your friends with your cool and cute new style without any of the commitment! As a bonus, this short brunette bob with thick fringe bangs looks absolutely adorable with any of our flapper costumes. So you get the thrill of a scary transformation AND a perfect accessory for your Halloween costume. That’s a lot of bang for your buck! It does not look like this! It's more red than brown and it's longer and MUCH thinner. You could definitely see the wig mesh through the giant gaps in the hair and the bangs look like a 5 year old cut them. If it wasn't so cheap I would have tried to return it, but it's just not worth the hassle. Wore it and then threw it in the garbage! Bought for community theater but returned it immediately due to the unsuitable appearance. Not the bargain I had hoped for! 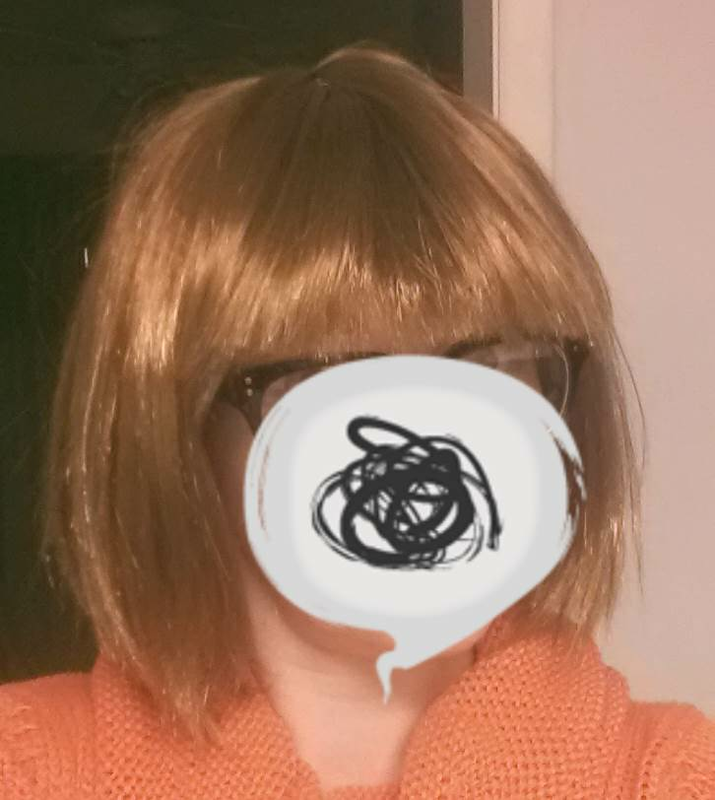 Brown wig was more of a copper/orangy color. Not at all like picture.